Various programs and meetings had been conducted for the last 8 years under our Film Literature Confluence. An entirely different Cinema Sangamam, program had been conducted last Sunday, 13th January morning. Usually our programs will be conducted in the auditoriums, that may be a marriage hall or Discovery book house, and everyone will come there, and the meetings, discussions and interactions will be conducted. But this time, in a different way, Cinema Sangamam had been conducted in the Chennai Book Fair. As the fair starting at 11 AM, met some friends before that itself in the huge stage in front of the fair, and then met many friends in the small stage inside the fair and talk to many while walking also. Talk about many things. It is happened only because of some decisions taken earlier. We decided to change the style and schedule of our confluence in this new year, and so collected the advices and opinions of the friends came to this Sangamam also. According to all those opinions, in this beginning time of 9th year of our confluence, we had taken 4 important decisions. First of all, decided to conduct Cinema Sangamam now onward at your place, time and convenience, instead of conducting meets by myself and inviting you for that. 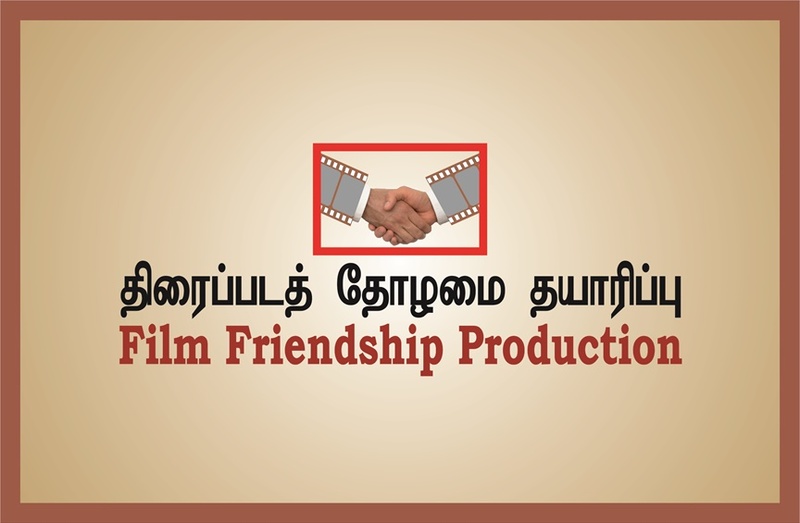 If five or ten friends joint together and fix a venue for Cinema Sangamam, I will come there and we can talk about cinema. You know, the topic for Cinema Sangamam for the time being is ‘How to Make Films in Low Budget’ and we can discuss about it. It will be useful not only for film producers, but also for artistes. directors, technicians and students. The details of this programs will be announced soon. Secondly, we are decided to share the details and updates of our Film Friendship Production regularly, especially about the shooting of our first production. 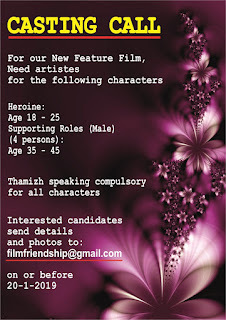 As third one, before starting the shoot, we decided to select the artistes for its Characters in a week. 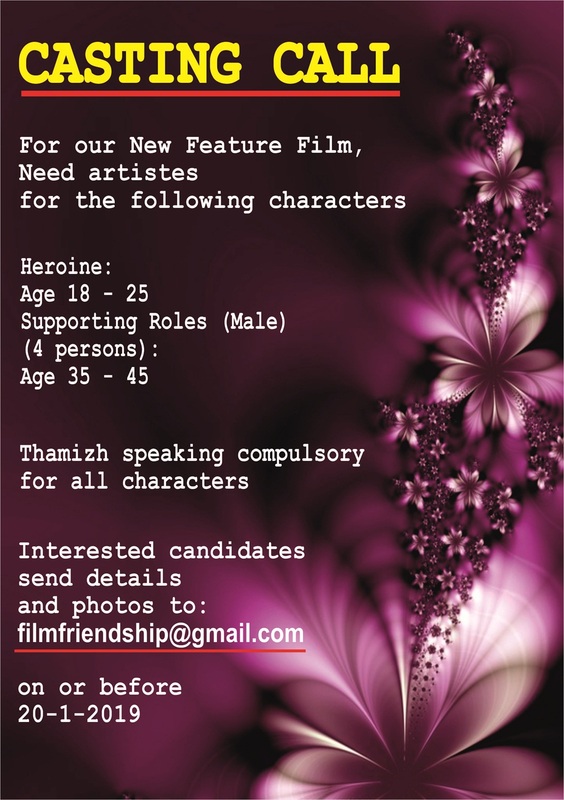 Artistes for heroine role and four supporting roles have to be selected. The details will be in following posts. The ad for this is posted in facebook and Whatsapp. Interested candidates can be send their photos and details to my email. And please do not call and disturb me. I am making this as a ‘request’. And last, as our Confluence is completing 9 years and entering into the 9th year, we are decided to conduct the 9th Anniversary very soon, most probably after the shooting of our first film. The details will be announced soon. Please be with us continuously through sangamamtv.in, youtube channel and filmfriendhip.com site..